Xiaomi, the Apple of China: The company might help make your iPhone a lot cheaper. Why Xiaomi, the “Apple of China,” might help make your iPhone a lot cheaper. 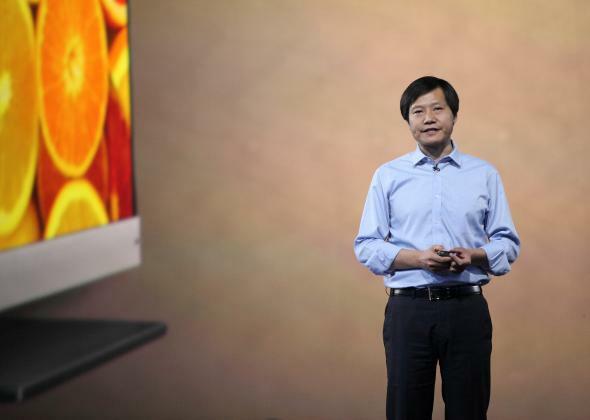 Xiaomi’s star CEO, Lei Jun, introducing new products in May. Few business leaders earn regular comparisons to Steve Jobs. Even fewer earn those comparisons often enough to get sick of them. Lei Jun is getting there. At 44, Lei is the billionaire CEO, founder, and public face of Xiaomi, one of the fastest-growing hardware companies in China. Xiaomi is frequently dubbed the “Apple of China”—a catchy tagline, especially for Western media outlets and for readers just getting acquainted with the company. Apple is a group of geniuses making a good product together. They don’t really care about what the users want. They imagine what the users want. You will only know what you will get at the moment of the product launch. Xiaomi is different. Xiaomi collects opinions from millions of users online. We create the product together. Regardless of how true that statement may be, Xiaomi’s business model differs fundamentally from Apple’s. In fact, it’s almost an inverse. Apple is a high-margin company. It manufactures devices inexpensively at scale, then packages and sells them for a significant premium. Apple’s gross margin in the third quarter of 2014 was 39.4 percent. That’s remarkable for a company selling devices that, by all measures and reckoning, should be cheap commodities by now. It’s a testament to Apple’s focus on design, user experience, and brand. Xiaomi, on the other hand, seems to follow Jeff Bezos’ maxim: “Your margin is my opportunity.” It sources many of its devices from Foxconn in Taiwan, just as Apple does. (For its newer iPhone models, Apple has been shifting business away from Foxconn and toward another manufacturer, Pegatron in Shanghai; at the time of this writing, however, Apple still lists Foxconn as a supplier.) Unlike Apple, however, Xiaomi sells its devices at or near cost. A top-of-the-line phone from Samsung can sell for the equivalent of $500 or more in China. Apple has yet to launch its iPhone 6 and 6S in China, but a recent press release suggests the retail price for an iPhone 6 will start at 5,288 RMB, or roughly $861. Xiaomi’s 64-gigabyte Mi 4 phone, its high-end model, sells for around $400. Its entry-level Redmi 1S retails for significantly less: a little over $100 in China and India. Xiaomi’s devices may be cheap, but they’re built to perform. Under the hood, they boast tech specs roughly equivalent to those of their competitors. They run a customized version of the Android operating system, dubbed MIUI (pronounced “Me You I”). Most of the Google services baked into Android have been removed from MIUI, replaced with Xiaomi’s own. (Xiaomi allows users to download and install Google’s apps, though they no longer come pre-installed on its devices.) Here, at least, Xiaomi warrants an Apple comparison: It wants to control the basic services, and app store, powering its devices. So what does MIUI mean for you and me? For now, the vast majority of Xiaomi’s business is in mainland China, and China is the world’s biggest smartphone market. Success in China has made Xiaomi the world’s fifth-largest smartphone maker. The company earned that position, from scratch, in just under four years. China is also one of the world’s leading hubs for the manufacture of smartphones and tablets. Xiaomi benefits tremendously from being able to source, market, and sell its hardware in its own backyard. It will want to maintain that cost advantage for the foreseeable future—at least until it has beaten back Samsung a bit further in China and its neighboring markets. This means the company probably won’t expand its supply lines, or incur massive marketing and localization costs, bringing its wares to America. Not yet, at any rate. For now, Xiaomi is setting its sights on the big, lucrative markets next door. It’s sold about 300,000 devices in India, for instance, since launching in that country in July. That’s a drop in the bucket for India’s smartphone market, which is expected to hit 80 million devices sold by the end of this year. But Xiaomi is seeing promising returns from its flash sales, in tandem with Indian e-tailers like Flipkart—a recent online promotion sold 60,000 Redmi 1S phones in 13.9 seconds. Similar promotions in Singapore and Malaysia have broken online sales records in those territories. Recently, Xiaomi even dipped a toe into the European market. All of this will reverberate back here in the States, albeit indirectly. The “Apple of China” won’t pose an immediate threat to the Apple of Cupertino. Apple is seen as a luxury good and a status symbol for many Chinese buyers; its position at the high end of the Chinese market seems safe for the time being. But Xiaomi is steadily stealing share from the other big players in the Chinese and global smartphone markets: Samsung, Huawei, Lenovo, and LG. Xiaomi’s success reveals a systemic weakness in the way hardware makers have done business over the last decade. Outsourcing manufacturing—and, in some cases, entire designs—to Chinese and Taiwanese firms has sped those firms up the learning curve at breakneck speed. Some of them, such as Foxconn, seem just fine earning $131.8 billion a year as original design manufacturers (ODMs). Others, like Xiaomi, have focused on branding, marketing, and savvy promotions. As Xiaomi spreads its brand around the world, it will exert significant pricing pressure on the likes of Samsung and, eventually, Apple itself. The net result: Five years from now, your new iPhone might be significantly cheaper. You’ll have Lei Jun, the man who wouldn’t be Steve Jobs, to thank for that.